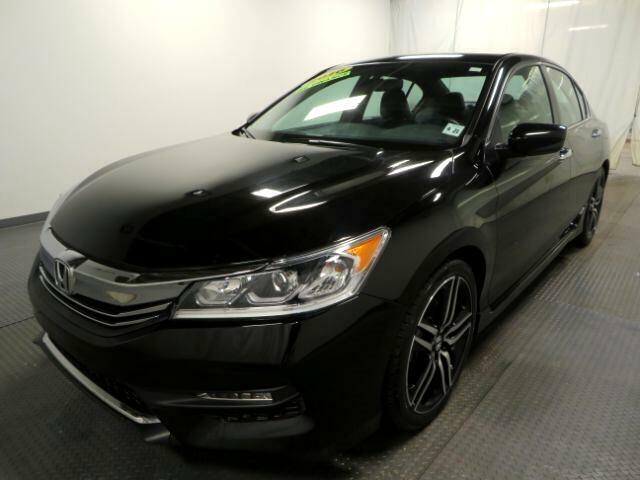 Building on last year''s significant updates, the 2017 Honda Accord should appeal whether you''re prioritizing interior space, fuel economy, value or even an engaging driving experience. Read on to learn more why the Accord is a must-drive if you''re shopping for a midsize sedan or coupe. Following some notable revisions last year, the 2017 Honda Accord is essentially a carryover model, and an aging one at that, considering Honda last gave its Accord a full redesign for the 2013 model year. Even so, most of the midsize sedan segment is still playing catchup. The current Accord is arguably Honda at its finest. It scores highly in just about every category, and unlike many rivals, it''s a genuine pleasure to drive. If you''re looking for a family sedan that does it all, or perhaps a sporty yet still roomy coupe, the 2017 Accord''s across-the-board excellence simply cannot be ignored. ***Internet special. Price reflects discount for cash buyers. Traditional and special financing is available for qualified buyers. Please contact us first for availability as our cars go fast at near wholesale prices. Prices are subject to change. Sales Tax, Title, License Fee, Registration Fee, Dealer Documentary Fee, Finance Charges, Emission Testing Fees and Compliance Fees are additional to the advertised price. All options and conditions of the vehicles must be verified with the dealer, any descriptions or options that are listed maybe incorrect due to automatic data transfer.